Wildlife Art Youtube Channels List. The Best Wildlife Art Youtube Channels in our index using search and social metrics. Subscribe to these youtubers because they are actively working to educate, inspire, and empower their audience with frequent updates and high-quality videos. About Youtuber Welcome to The Art of Aaron Blaise. I've been an artist all of my life and it's here that I'd like to share with all of you some of my techniques of painting the natural world around us. Aaron Blaise is an animation feature film director and wildlife artist. About Youtuber I am a full time wildlife artist, my videos consist of painting, drawing and pastel pencil tutorials, art product reviews, art book reviews and anything art related! so if you want to learn how to paint wildlife, realistic fur, feathers, eyes and lots more my YouTube wildlife art channel is for you. About Youtuber The wildest art channel on youtube. Art lessons in drawing, illustration, printmaking and painting, with an animal theme by the artist that knows and loves wildlife. About Youtuber I'm artist Chuck Black and my goal is to add value to your life through the gift of art. About Youtuber Hi folks, this is my art channel. I work full time as an artist and spread my time between portrait commissions of people and pets, and creating my series of wildlife and landscapes for galleries. I've made a few time lapse videos of paintings in progress but am currently adding to a series of pastel tutorials in which I hope to cover many subjects and techniques. About Youtuber I'm a traditional artist specialising in pet portraits and wildlife art! My primary medium is coloured pencils, but I love to try just about anything. About Youtuber Hi there! I'm Kate Amedeo and I am a wildlife artist. On my channel, you will find soft pastel and pastel pencil tutorials as well as tips about using this wonderful medium. About Youtuber Nature and wildlife paintings in mixed media. Art journal pages, watercolor paintings, the occasional acrylic, and oil painting, and experiments. About Youtuber Follow us to keep up with videos on wildlife art from TBarts Artist. About Youtuber Artist specializing in Portrait art and wildlife art using different mediums including airbrush, acrylics, color pencil, graphite. About Youtuber Hi, I'm mART - a pastel pencil artist with a passion for animals, I basically do PR for wildlife! About Youtuber Born and raised in Nebraska, I love the diversity of wildlife and habitat we have here. Join me as I capture the beauty of Nebraska's wildlife as seen through my eyes. About Youtuber I am a self-taught pet portrait and wildlife artist mainly working in color pencil, graphite pencil and acrylic paint. On my YouTube, you will mostly find time-lapse videos of my work. About Youtuber Follow us to keep up with videos on wildlife art from Zara's Pet Portraits & Wildlife Art. About Youtuber Alan M Hunt is a british wildlife artist who has been painting big cats, birds of prey and other animals from around the world for over 50 years. About Youtuber Maverick Art of Africa is an online gallery hosting magnificent wildlife art and wildlife paintings in fine detail. 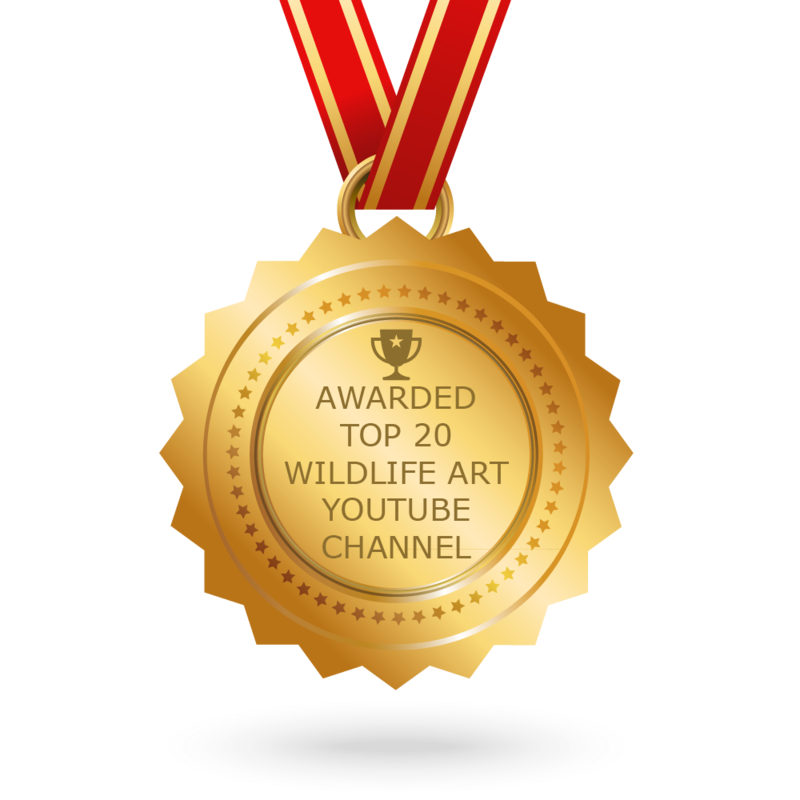 CONGRATULATIONS to every youtuber that has made this Top Wildlife Art Youtube Channels list! This is the most comprehensive list of best Wildlife Art Youtube Channels on the internet and I’m honoured to have you as part of this! I personally give you a high-five and want to thank you for your contribution to this world.